Authored by romangg on May 22 2017, 1:21 AM. Simple but powerful KCM utilizing LibColorCorrect from Plasma Workspace to provide configuration of Night Color in KWin. you shouldn't be using Plasma Components in KCMs. Use QQC directly. Plasma Components follow the plasma theme which can lead to a white text on white situation. romangg marked 4 inline comments as done. Ok, will omit it next time. Thanks! What I meant was that X would still be 0 rather than the item being right aligned. With RTL anchors and layouts get flipped. Not specifying anything (so an implicit x==0) it doens't get flipped. Though given the bug you showed maybe it's all a bit moot. The kcm loads a translation catalog, but where is the Messages.sh extracting the strings into the catalog "kcm_nightcolor"? Is the Messages.sh right this way? that is less error prone if a catalogs has to be renamed. romangg marked 6 inline comments as done. Correcting color values in general is part of the later to introduce Color Correction / Color Balance configuration, which is then done per screen. 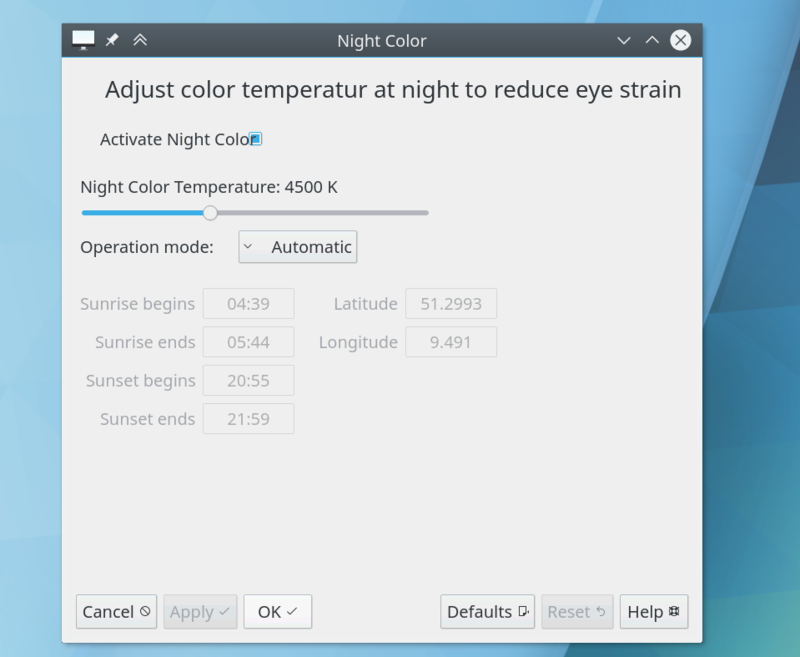 The Night Color value will then be only ever more a factor multiplied to it (the slider scale then probably has to change from an absolute temperature one to a relative one). Why is it required? Can't this KCM be skipped if the lib isn't available? Also, this is missing a set_package_properties call so that one can find out what the lib is about and where to get it from, when hitting the raw cmake error about LibColorCorrect not being available. This is just another library of Plasma. It's quite normal that we hard depend on other libraries of the same Plasma release. Ah, the un-namespaced name made me think it was an external dependency. 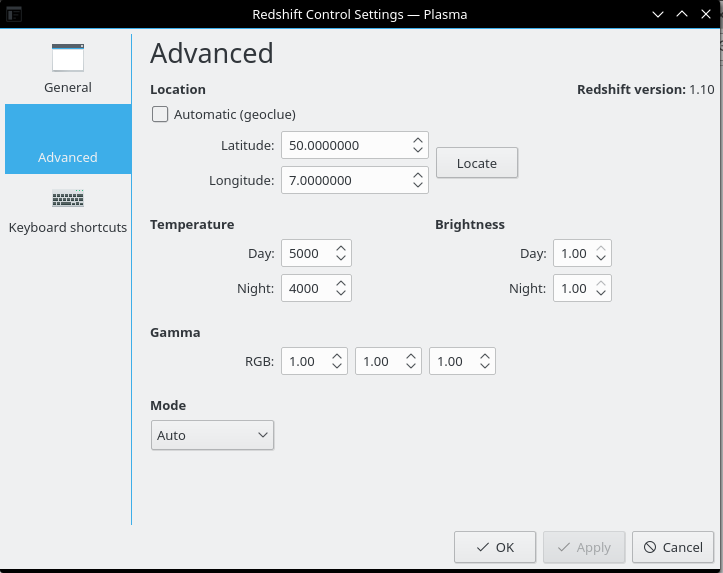 OK, sorry for the noise, I must have updated plasma-desktop without updating plasma-workspace, it works now after a run of kdesrc-build.